The plan is to launch New Shepherd using one of its new BE-4 rocket engines and begin some maneuvering tests of the capsule. But, seven minutes into the flight, something alarming is going to take place: one of the capsule’s parachutes is going to fail. On purpose. 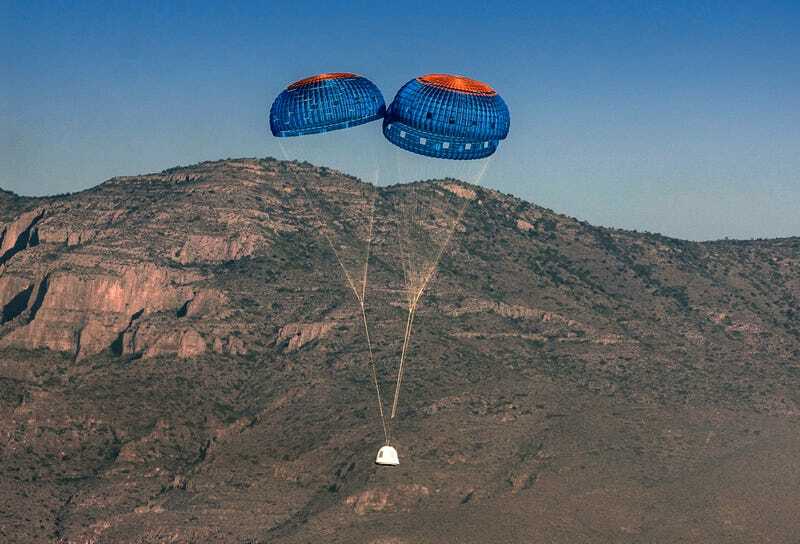 The New Shepard launch was originally supposed to take place today, but a leaky gasket in the capsule’s nitrogen gas pressurisation system grounded the capsule. The launch was instead pushed to Sunday morning. 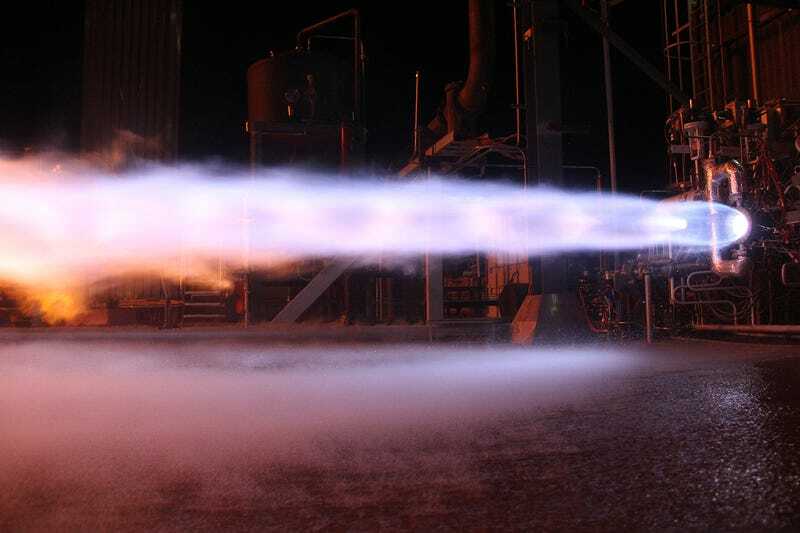 In just the last few months, Blue Origin has started to open up its process slightly, letting journalists into its facility for the first time. This, however, is the first launch that it will share with the public directly and not after the fact. And it’s no coincidence that it’s starting with a test of the New Shepard capsule. Bezos has said that he wants to start operating space tourism flights within the next two years, by 2018. The New Shepard and the BE-4 engine that is launching it this weekend is exactly the same combination he’s identified as the probable vehicle for those tourism goals, shuttling up flights of six tourists at a time to experience brief bouts of weightlessness.